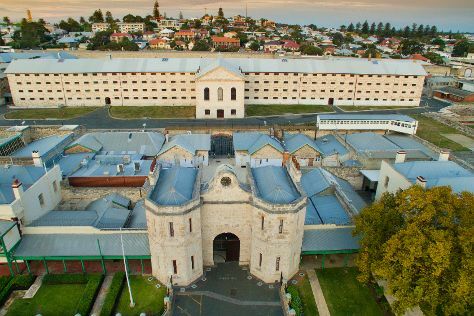 Appreciate the collections at Fremantle Prison and The Nostalgia Box Museum. Get some cultural insight at The Perth Mint and Art Gallery of Western Australia. Explore the numerous day-trip ideas around Perth: Fremantle (Western Australian Maritime Museum & The Shipwreck Galleries). Dedicate the 14th (Fri) to wine at some of the top wineries in the area. And it doesn't end there: take in nature's colorful creations at Kings Park & Botanic Garden, snap pictures at Elizabeth Quay, contemplate the waterfront views at Swan River, and appreciate the history behind The Bell Tower. To see more things to do, where to stay, ratings, and tourist information, read our Perth trip planning website . Cairns to Perth is an approximately 7.5-hour flight. You can also drive; or take a train. The time zone difference when traveling from Cairns to Perth is minus 2 hours. Traveling from Cairns in June, you will find days in Perth are slightly colder (23°C), and nights are much colder (9°C). Wrap up your sightseeing on the 14th (Fri) to allow time to travel to Southern Cross. Southern Cross is a town in Western Australia, 371 kilometres east of state capital Perth on the Great Eastern Highway. On the 15th (Sat), get engrossed in the history at Yilgarn History Museum. To see ratings, where to stay, and tourist information, refer to the Southern Cross trip itinerary planning site . You can drive from Perth to Southern Cross in 4.5 hours. Alternatively, you can fly. Wrap up your sightseeing by early afternoon on the 15th (Sat) to allow time for travel to Coolgardie. Coolgardie is a small town in Western Australia, 558km east of the state capital, Perth. On the 16th (Sun), steep yourself in history at Warden Finnerty's Residence and then examine the collection at Goldfields Exhibition Museum. For where to stay, maps, other places to visit, and more tourist information, use the Coolgardie trip itinerary planner. Drive from Southern Cross to Coolgardie in 2 hours. In June, plan for daily highs up to 20°C, and evening lows to 7°C. Wrap up your sightseeing by early afternoon on the 16th (Sun) to allow time for travel to Kalgoorlie-Boulder. On the 17th (Mon), examine the collection at Museum of the Goldfields, then steep yourself in history at Hannans North Tourist Mine, then let little ones run wild at Hammond Park, and finally admire all the interesting features of The Superpit. You can plan Kalgoorlie-Boulder trip in no time by asking Inspirock to help create your itinerary. Drive from Coolgardie to Kalgoorlie-Boulder in an hour. In June, daily temperatures in Kalgoorlie-Boulder can reach 20°C, while at night they dip to 7°C. Finish your sightseeing early on the 17th (Mon) to allow enough time to travel to Norseman. 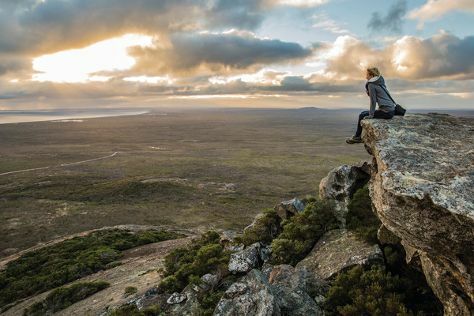 Norseman is a town located in the Goldfields-Esperance region of Western Australia along the Coolgardie-Esperance Highway, 726km east of Perth and 278m above sea level. Start off your visit on the 18th (Tue): take some stellar pictures from Beacon Hill Lookout, then pause for some photo ops at Norseman Statue, and then admire the engineering at Bromus Dam. To see ratings, more things to do, and other tourist information, read Norseman trip itinerary planning site . Traveling by car from Kalgoorlie-Boulder to Norseman takes 2.5 hours. Wrap up your sightseeing on the 18th (Tue) to allow time to travel to Esperance. Esperance is a town in the Goldfields-Esperance region of Western Australia, on the Southern Ocean coastline approximately 720km east-southeast of the state capital, Perth. On the 19th (Wed), explore the wealth of natural beauty at Cape Le Grand National Park. Get ready for a full day of sightseeing on the 20th (Thu): tour the pleasant surroundings at Twilight Bay, then steep yourself in history at Esperance Stonehenge, then see the interesting displays at Esperance Museum, and finally don't miss a visit to Esperance Whale Tail. Plan my Esperance trip by asking Inpirock to come up with tips and suggestions. Getting from Norseman to Esperance by car takes about 2.5 hours. Expect a daytime high around 20°C in June, and nighttime lows around 9°C. On the 21st (Fri), you'll have the morning to explore before heading back home.